Innovative tactics and tried-and-true techniques are the hallmark of this course, which is designed for individuals assigned the responsibility to teach police and SWAT personnel in immediate deployment/rapid intervention techniques. This is a train-the-trainer course. Topics to be covered include an historical overview of active shooter situations including school shootings, immediate deployment/rapid intervention tactics, barricade-hostage rescue concepts and instructional techniques. Simunitions weapons will be used in field training exercises. Students should be assigned as department instructors and have either completed a basic instructor development course or have equivalent experience as an instructor. Chris Periatt is currently serving as an active law enforcement officer with over 24 years of service. Chris began his career with the Detroit Police Department as a tactical patrol officer and member of the counter-sniper team. Within his current agency he has worked many positions including tactical patrol, SWAT, K9, and warrant recovery. He is a senior Tactical Patrol Officer, FTO, advanced active threat instructor, senior firearms instructor, senior subject control instructor, and master use-of-force instructor. Chris has been held as a subject matter expert in the areas of K9 deployments and the use of force by both the United States District Court Eastern District of Michigan, and the 16th Judicial Circuit Court of Macomb County. Periatt is certified in six law enforcement subject control programs and has been regularly involved in Krav Maga for over 10 years. He currently teaches and trains Mada Krav Maga under Adam Munzing. 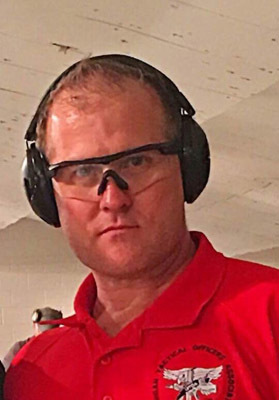 He has also been employed since 2004 at the Macomb Police Academy and Advanced Police Training Center, (APTC), as a Firearms instructor, patrol and SWAT tactics instructor, advanced active threat instructor, and subject control Instructor. He is involved in developing and implementing a variety of advanced firearms, SWAT, and tactical patrol programs for the APTC and has taught thousands of law enforcement officers from across the globe. Periatt is also currently employed as an adjunct instructor for the NTOA in the advanced active shooter instructor, school and work place violence, and advanced patrol tactics program. He was honorable discharged from the US Marine Corps(R) (SOC) after serving over six years as a squad leader in a weapons platoon, 0351, from 1987-1994. He has been the President of the Michigan Tactical Officers Association since 2006 and has an undergraduate degree from AMU with a major in criminal justice.